I love a good black and white photo! 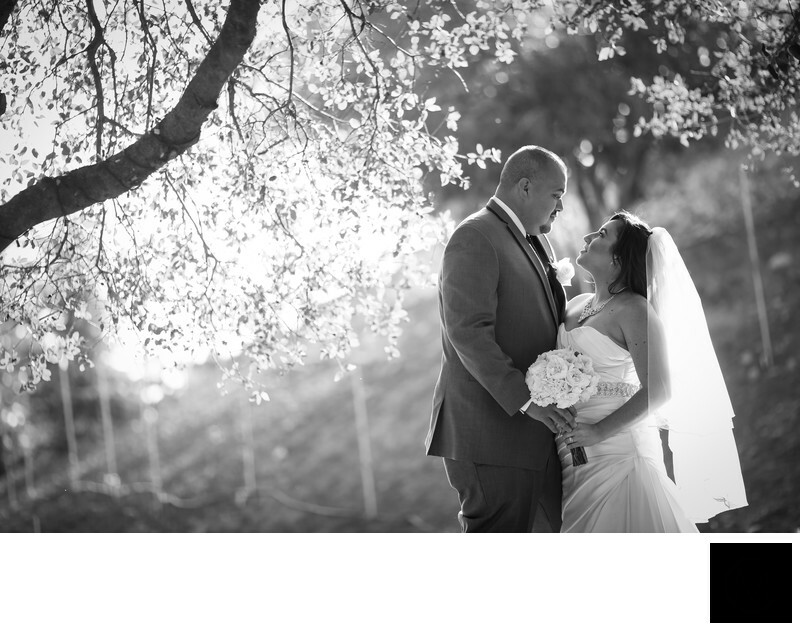 My favorite black and white images are always the ones with a simple subject and strong backlighting, just like this image taken of Victor + Eloisa on their wedding day at Serendipity Garden Weddings in Oak Glen, CA. Their wedding was in the spring, and there was still quite a bit of sunlight after the ceremony. One feature I love with Serendipity Garden Weddings is their expansive grounds. While the couples' guests are enjoying cocktail hour, I'm able to take the bridal party off to a different area of the property to get these images! I love the way the light here not only filters through the tree, but creates a halo effect around Victor and Eloisa. Not to mention I love the way Victor is looking at his bride. Location: 12865 Oak Glen Rd, Oak Glen, CA 92399.